ChildAge: 8-17 years. Under 8 are free. 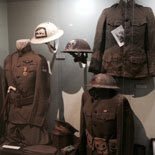 Webb Military Museum is a collection of military artifacts collected over 40 years ago. 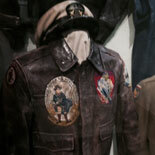 The Webb Military Museum has became the curator of servicemen's personal item to honor their service and share with the community. 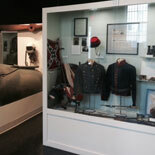 The Webb Military museum is a collection of military artifacts that I started collecting over 40 years ago. As I collected these various artifacts I felt that I became the curator of these serviceman's personal items. I wanted to honor their service and share with the Savannah community the love of history that I have. Webb Military Museum is dedicated to the two people who inspired me to love history; my parents, James and Doreen Webb. My father was a career Air Force Officer who was born and raised in North Georgia. Growing up with my brother and two sisters, we traveled all over the United States and Europe. It was a wonderful experience that most people do not get. Although my Father was a Veteran of WW II and Vietnam, it was my Mother's life that got me interested in History. She was born in downtown London, England in 1927. She was 13 when WW II started. While we were growing up my Mother had no problem telling her war time stories and experiences to us. I thought everyone's Mother lived in a bomb shelter and carried a gas mask to school until I was 11 years old. It was at that time I realized my Mother had a special childhood, as horrible as it was. 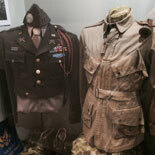 What started off as a hobby collecting small items and searching for military relics in the woods of Germany turned into a lifelong interest that has now turned into Webb Military Museum. Thank you for visiting the Webb Military Museum. Open Monday through Saturday from 10am-5pm. Sundays 12pm-4pm.